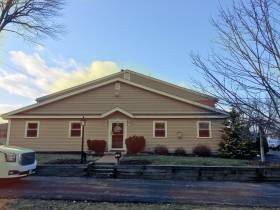 This 3,100 square foot office space is located just off Northeastern Blvd. between exit 4 and 5 from the Everett Turnpike. It is a 2 story building with a nice main entrance, offers plenty of parking with 15+ spaces, 8+ offices, kitchen, conference room and bathrooms on each floor.